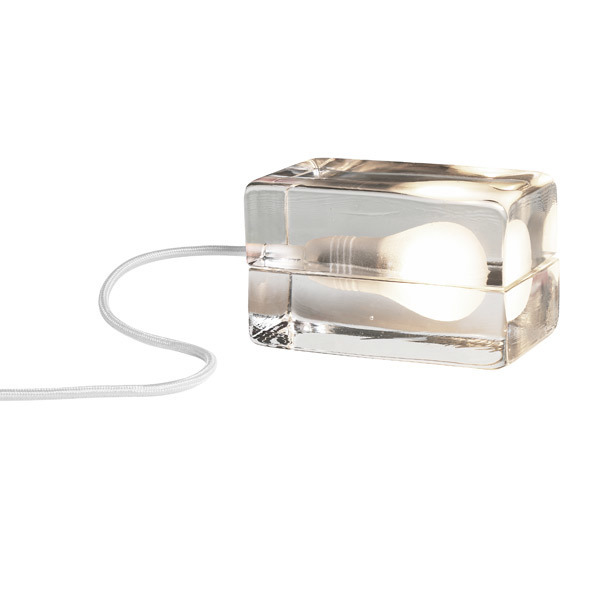 In Design House Stockholm’s Block Lamp the light is enclosed by two glass blocks that feature a matt, sandblasted bulb shape. 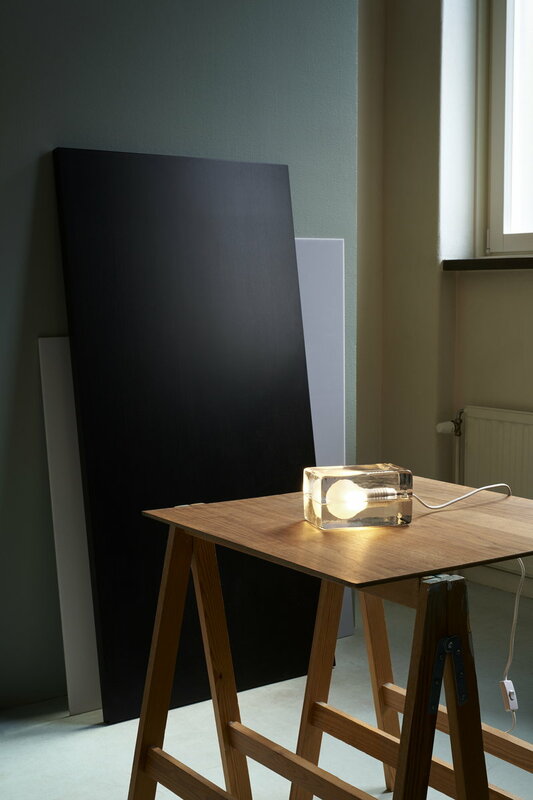 Each part of the lamp is hand cast and undergoes an extremely long cooling process to avoid cracking later on if exposed to strong temperature changes. 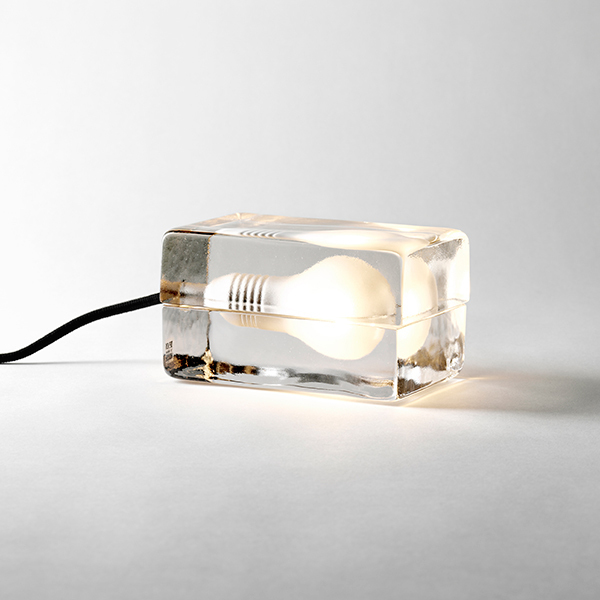 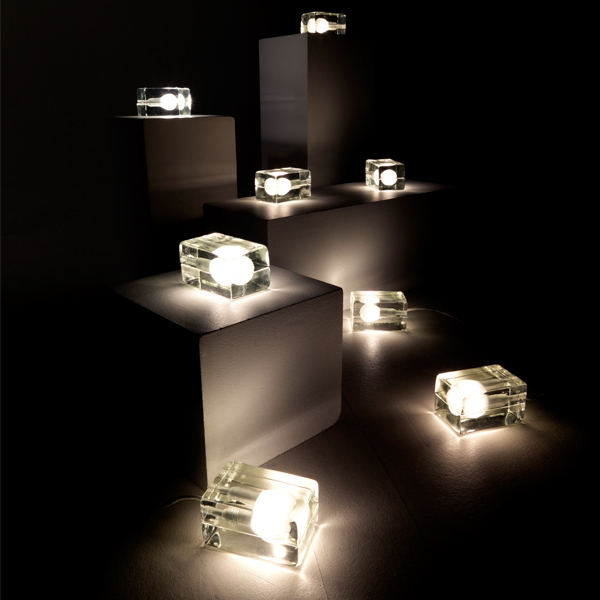 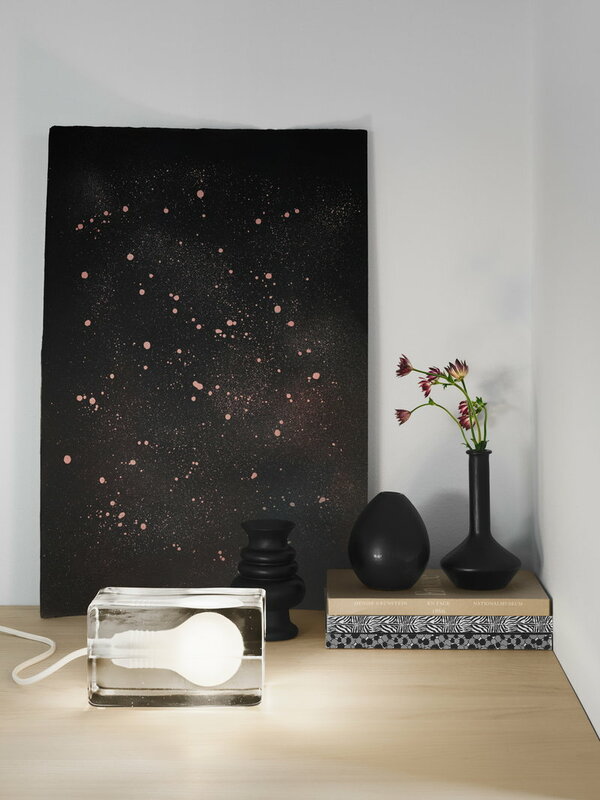 Harri Koskinen designed the Block Lamp in 1996 and it became an immediate success. 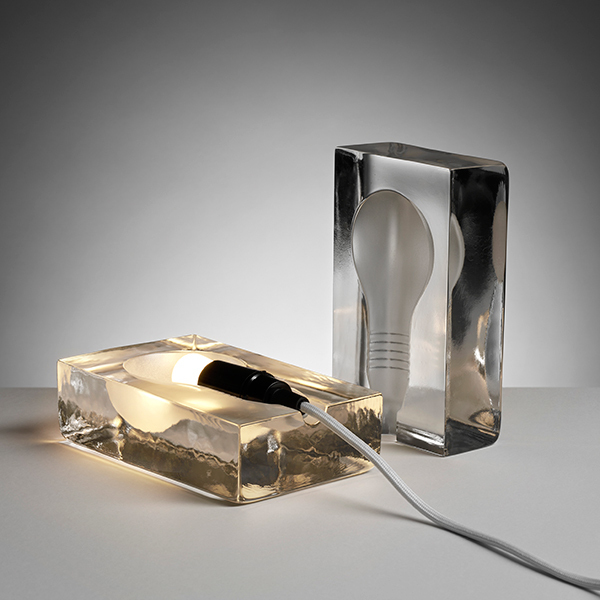 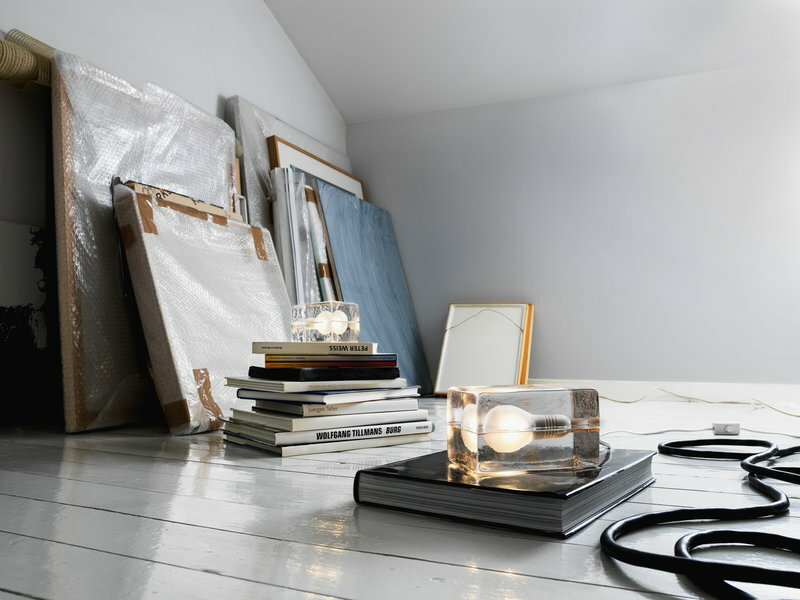 The light has been part of MoMA’s permanent collection since 2000.